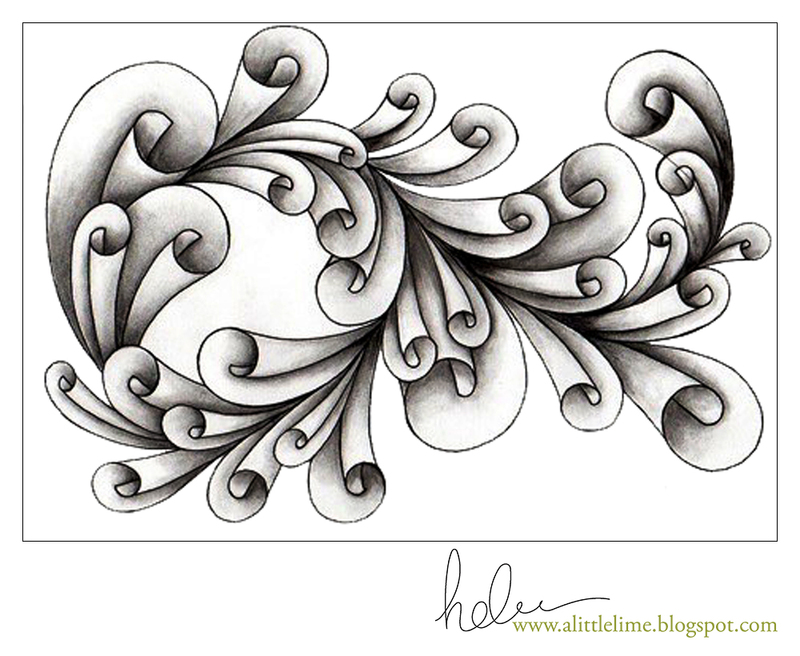 Fantastic to see you back into your blog...I needed a journal fix... can't wait to add this to my sketchbook. I am losing you....no, the other way round... you are losing me! I am still working on the Journal A-Z D for Diva Dance tile. Now you are waaaayyyy ahead of me with yet another exceptional tile. You are forcing me to switch gear. As for bad selfies... You haven't seen bad selfies - YET! Love your netball hair! (of course I don't know what netball is any more than I knew what fringe was, LOL!) You look young and beautiful! Yes, kids are so funny, especially when they share their memories now that they are grown-ups! Nice tangle too. Thanks for sharing with us! Thanks, Jean. Netball's closest relation is probably basketball - no dribbling in netball, though. I love how some sports are so very "regional". Netball is pretty big in the commonwealth nations - I just googled it and apparently approx. 20 million people play it world-wide. Who knew? I don't think many Australian primary school girls (or boys) make it through the school system without playing a bit of netball. I love your new hairstyle. Very cute. Going to try Eddyper. Looks like the cow is going to keep you busy. You crack me up, Helen! :) You are adorable, with or without "fringe"! (Here in the U.S. we call it "bangs"!) I love your Eddyper! The shapes you create and the directions you move in your tangling are always so appealing to me ... graceful, dramatic and so deep with shading. You inspire me!! Love Eddyper. Must try it soon. Your fringe looks great but PLEASE tell us what netball is! Hi Barb! Thank you :) I just typed out a netball response above so I'm going to be a bit lazy and paste it again here: Netball's closest relation is probably basketball - no dribbling in netball, though. I love how some sports are so very "regional". Netball is pretty big in the commonwealth nations - I just googled it and apparently approx. 20 million people play it world-wide. Who knew? I don't think many Australian primary school girls (or boys) make it through the school system without playing a bit of netball.